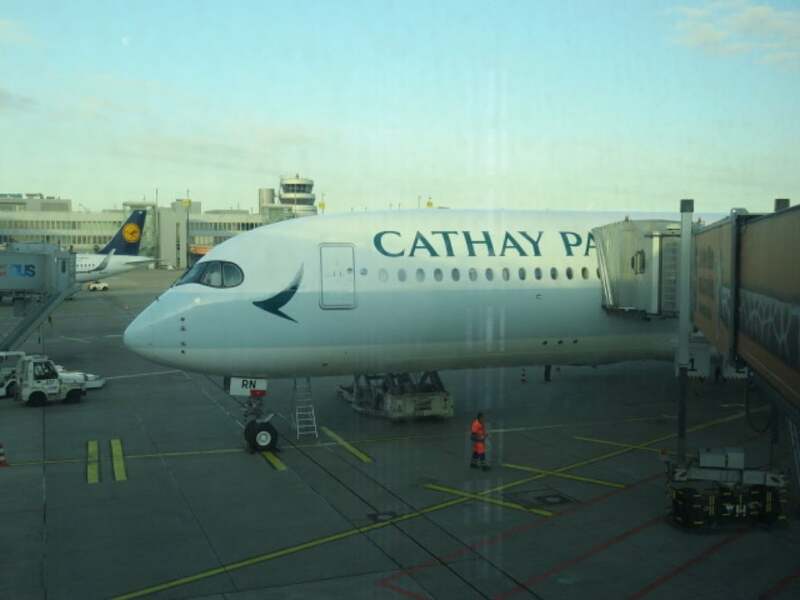 In this trip report, I review my flight on Cathay Pacific A350 Business Class Hong Kong to Düsseldorf. 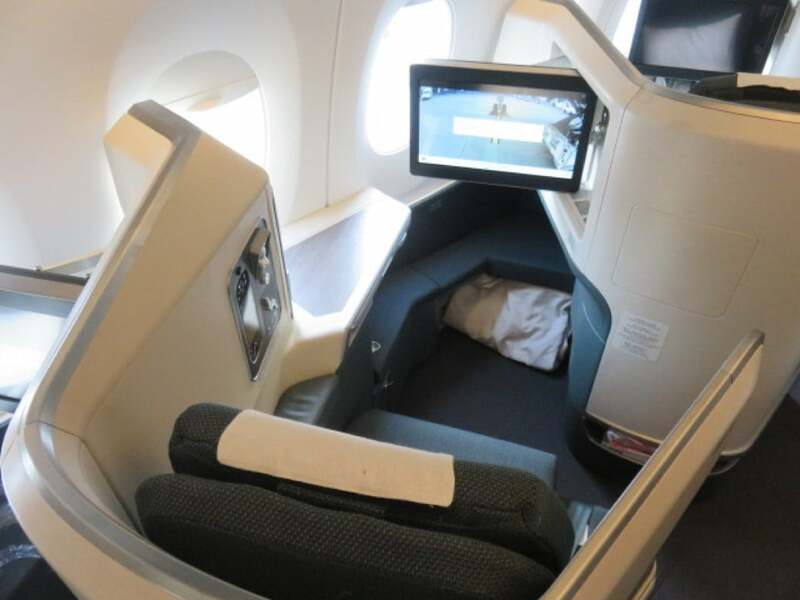 You can read all my Cathay Pacific Business Class flight reviews and First Class reviews. 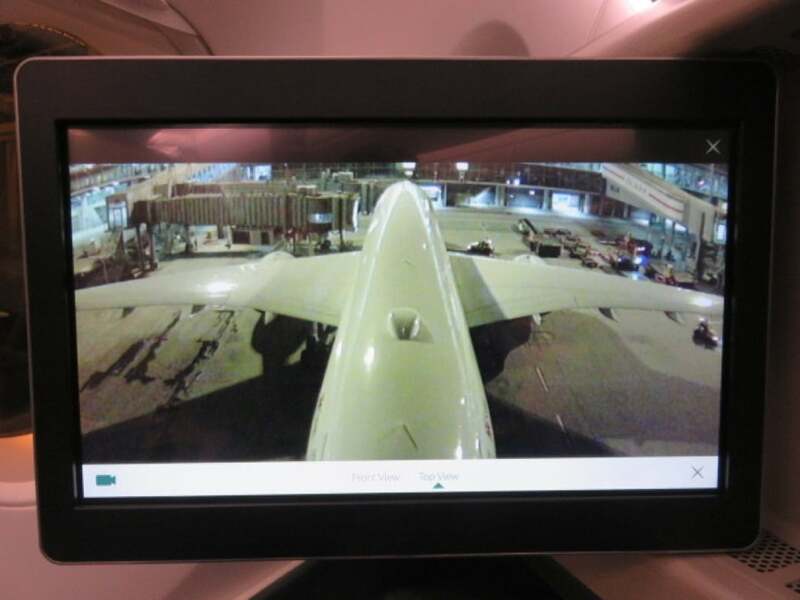 The Cathay Pacific Airbus A350-900 is brand new and my flight took me from Hong Kong International Airport (HKG) in China to Düsseldorf International Airport (DUS) in Germany. The A350-900 has a more spacious and quieter cabin, panoramic windows, and LED mood lighting and burns 25% less fuel compared to older generation aircraft. The new Cathay Pacific A350 Business Class cabin and seat is a refreshed design of the carrier’s ‘old’ Business Class product onboard its B777 and A330 planes, with the main difference being the addition of extra storage space and onboard WiFi. Cathay Pacific will no longer operate into Düsseldorf from March 2018 but does fly into other European airports including London, Brussels, Dublin and Copenhagen. 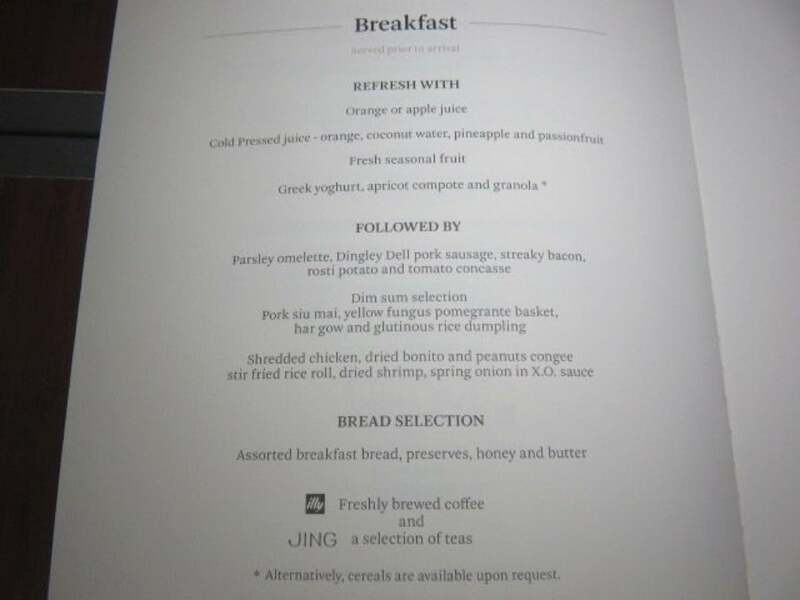 Cathay Pacific features in my top 10 lists of the best airlines for longhaul Business Class. I booked this one-way Business Class ticket from Hong Kong to Düsseldorf for 82,750 Avios + €112,74 taxes, fees and charges. 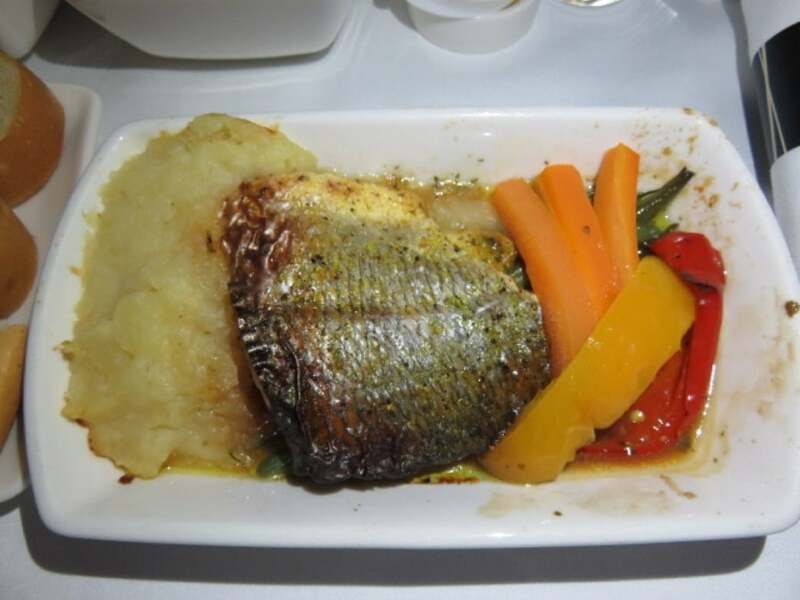 Avios is the mileage currency of Executive Club, the frequent flyer program of British Airways, which is a One World partner of Cathay Pacific. My trip started in Cathay Pacific’s The Bridge Lounge at Hong Kong Airport. The A350 XWB is the world’s most technologically advanced commercial aircraft, competing with both the Boeing 787 and the Boeing 777. The A350 is designed for the wellbeing of passengers; the quiet cabin, panoramic windows, LED mood lighting and huge overhead lockers all contribute to a more comfortable and relaxing journey in all cabin classes. Cathay Pacific has taken delivery of 17 A350-900 aircraft, with an additional six on firm order, and 26 firm orders of the A350-1000. Cathay Pacific’s A350 destinations currently include Düsseldorf, Vancouver, San Francisco, London Gatwick, San Francisco, Auckland, Bangkok, Barcelona, Ho Chi Minh, Manchester, Manila, Brisbane, Melbourne, Tel Aviv, Singapore, Kansai and Paris. 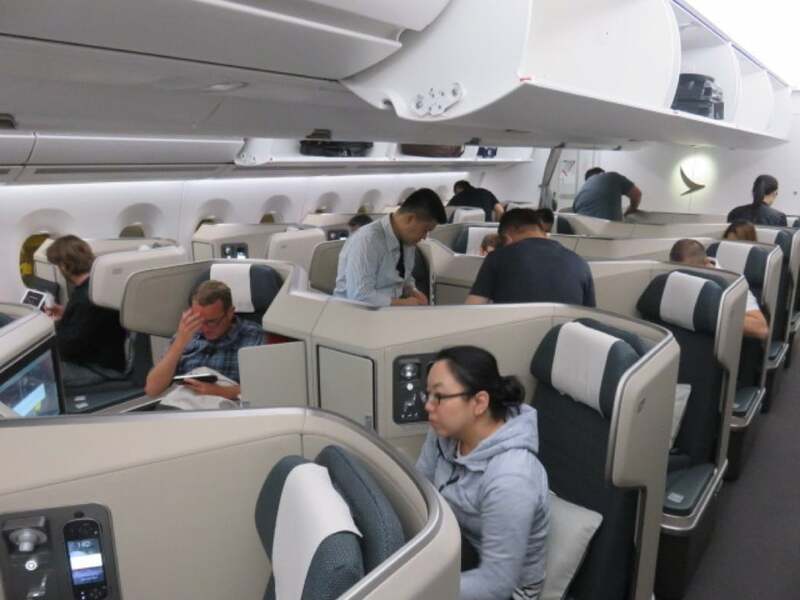 The Cathay Pacific Airbus A350 has 280 seats in a 3 class configuration: 38 lie-flat seats in Business, 28 recliner seats in Premium Economy (with 23 cm or 9 inches of recline), and 214 standard seats in Economy Class (with 15 cm or 6 inches of recline). Contrary to most of Cathay Pacific’s Boeing B777 planes, its A350 aircraft don’t feature a First Class cabin. 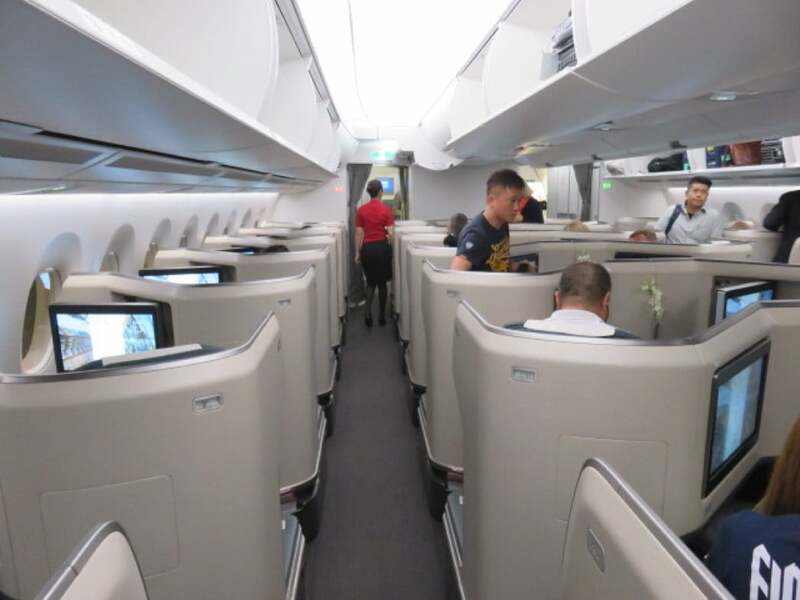 The 38 Business Class seats are spread over two cabins: a large cabin behind the cockpit seats 30 passengers in 8 rows, while the remaining 8 seats are located in a smaller and intimate two-row cabin behind the galley (in front of the Premium Economy Class cabin). Both cabins feature a reverse herringbone layout in a 1-2-1 configuration, which offers lots of space, direct aisle access for all passengers, and a great amount of privacy. Seats on the side are angled toward the window, while the seats in the middle are angled towards each other, so you never directly look into the seat across the aisle. The cabin is refined and modern look. Small but elegant white floral displays decorate the wall between the centre seats, adding to the overall luxury feel of the cabin. I was seated in 14A for the 12-hour flight from Hong Kong to Düsseldorf. The first row in the plane is designated the number 11 since the A350 doesn’t feature a First Class cabin. The Business Class seat on Cathay Pacific’s A350 is a Cirrus seat, supplied by Zodiac Aerospace and customized by Studio F.A. Porsche. It is a refreshed version of the airline’s award-winning ‘old’ Business Class seat which you find on its Boeing 777-300ER and Airbus A330 fleet. The new seat on the A350 comes with extra storage space and has a more sophisticated feel, in addition to an enhanced entertainment system with onboard WiFi. For entertainment, you are given BOSE noise cancelling headphones. There is also a useful universal power outlet in the seat compartment and a dimmable reading light. An extendable fold-out table can be extended from a triangularly shaped work surface. In front of the seat is a large footrest, which forms part of the fully flat-bed when the seat is reclined. There is enough space underneath the ottoman to stow away your shoes or a backpack. Contrary to the Business Class seats on Cathay Pacific’s B777 and A330, the ottoman forms one entity with a cushioned, click and lift up side panel that not only gives the Business Class suite a more spacious feel but also allows slightly more knee room when in the flat-bed position. Above the ottoman is a large, private screen (15.4-inch or 40 cm) that swings out from the side of the seat suite’s wall. You can tilt it up or down so that you can enjoy a movie or TV show from the near or fully flat-bed position. The seat reclined into a very comfortable, fully flat-bed which comes with a thick pillow, a nice blanket, and a duvet. The flat-bed is just over 190 cm (or 75 inches) long, which is slightly less as compared to the B777. A bed extension increases its width by 16.5 cm (6.5 inches), providing additional hip support, while the side panel compartment offers extra knee space for sleeping on your side. What are the best Business Class seats on Cathay Pacific’s A350? The seats in row 20 and 21 are located in their own little private cabin and are therefore are probably the best. Solo travellers should go fo the window seats, while travel companions are better off in the centre seats. 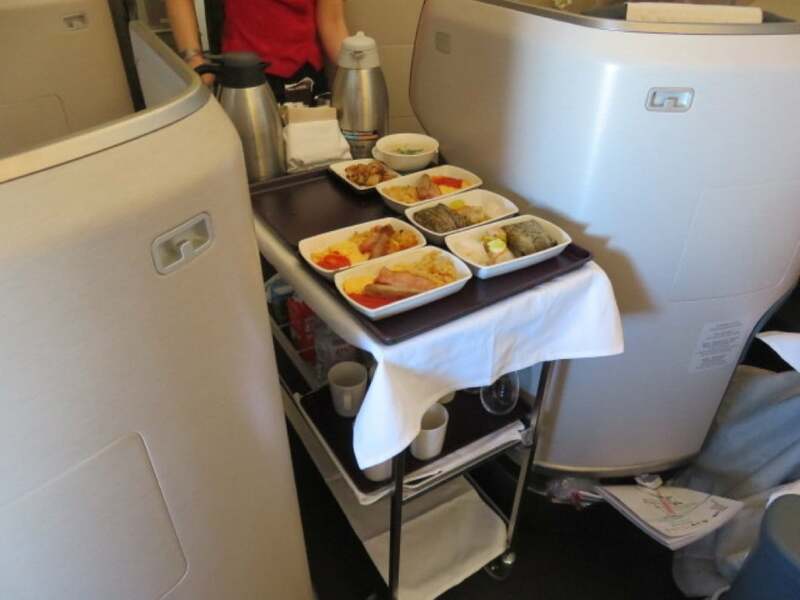 What are the worst Business Class seats on Cathay Pacific’s A350? Seats in rows 11, 19 and 20 are located close to the galley and lavatories, so may suffer from noise. The last row of Business Class, row 21, which is located in front of the Premium Economy bassinet seats (which are often taken by or appointed to families with young children). Business Class passengers are provided with a nice blanket and a high-quality pillow, in addition to a duvet to enhance the sleeping comfort. The Business Class amenity kit has been created by Seventy Eight Percent. The wash bag contains Jurlique products (natural lip care balm, balancing day care dream, and citrus hand cream), anti-skid socks, eyeshade, toothbrush, toothpaste, earplugs and monitor-cleaning cloth. Before takeoff, a welcome drink was offered with a choice of orange juice, water, or a glass of Champagne, along with a hot towel. Starter: A tasty blend of savoury dips with grissini. Pan friend sea bream, capsicum, green beans, carrot, celeriac puree, and lemon parsley butter. Chou hou beef brisket, turnip, mixed vegetables and steamed jasmine rice. 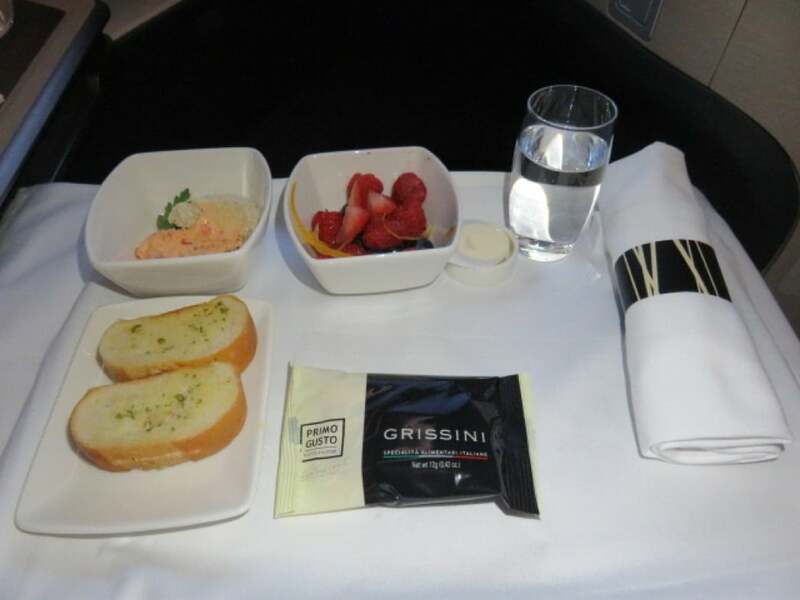 Dinner service started about 20 minutes after take-off, which was well after 1 am local time. 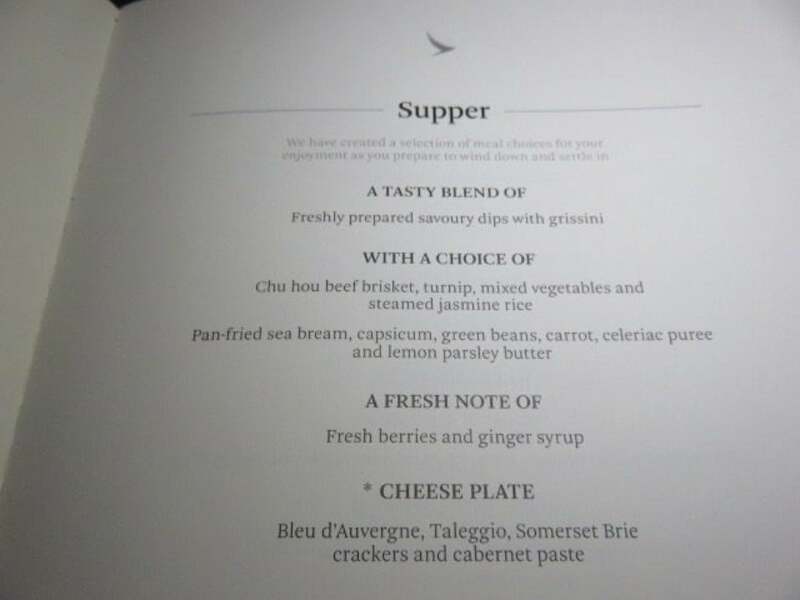 All food (starter, main course, and dessert) was served at once on a single tray, which was kind of odd but probably had to do with the late departure time of the plane. The food tasted good although I was underwhelmed. 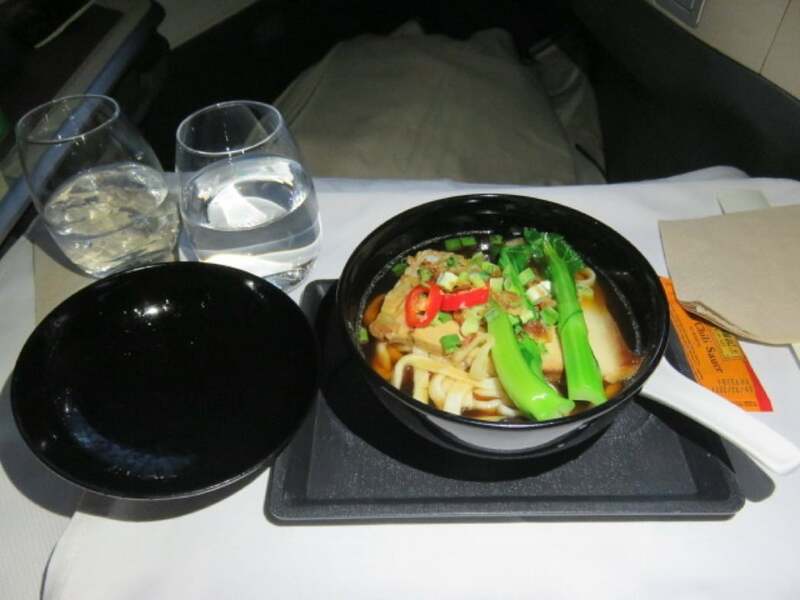 As a mid-flight snack, I choose the only item available on the menu – Taiwanese pork in noodle soup – which was excellent. 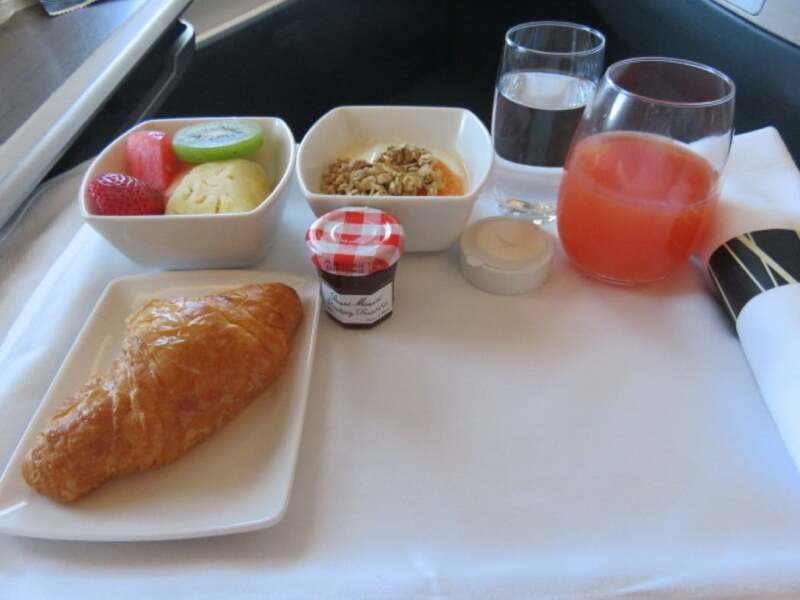 Ninety minutes prior to landing, a continental breakfast was served, with a cold-pressed juice (orange, coconut water, pineapple and passionfruit), fresh seasonal fruit, Greek yoghurt, apricot compote and granola. The crew rolled a selection of hot items through the cabin and you could choose from the available items. 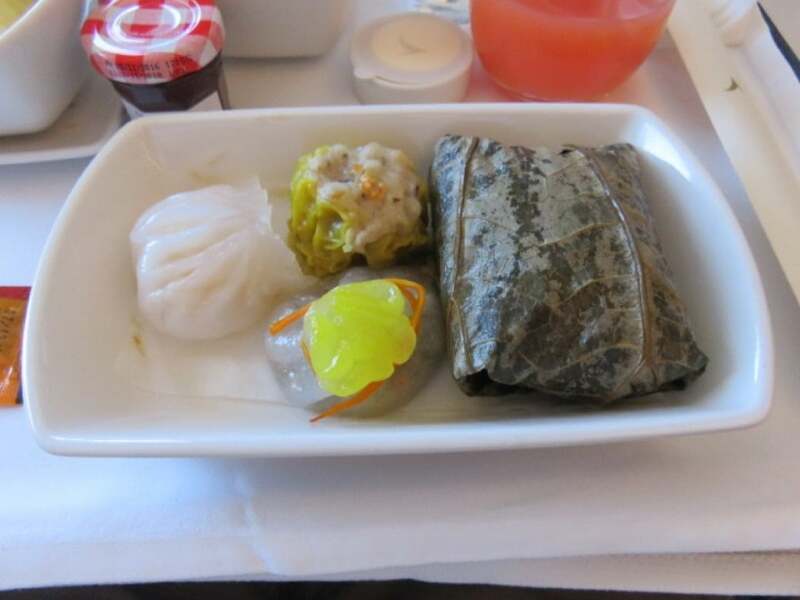 I had the dim sum selection: pork siu mai, yellow fungus pomegrante basket, har grow and glutinous rice dumpling. The new A350-900 features a state-of-the-art inflight entertainment system; the latest high-definition touch screen TV with tons of TV shows, including the latest blockbusters, award-winning documentaries. There was also an interactive flight map as well as views from a camera attached to the plane’s belly and a camera located in the plane’s tail. There were three toilets for Business Class passengers: two behind the cockpit and one in the galley between the two Business Class cabins. The Internet is available on the Cathay Pacific A350 (currently not available on the carrier’s B777 and A330 fleet). For regional flights under six hours, unlimited internet currently costs $13 USD, and $20 USD for flights over six hours. A single hour on any A350 flight will cost $10 USD. If you are planning to book a flight, don’t book through the airline’s website direct, our flight & hotel experts will almost always quote you cheaper for Economy, Premium Economy, Business and First Class long-haul flights and will offer upgrades and benefits on hotel stays. Based on a review written by our friends at The Luxury Travel Expert.